General objective of this report is to analysis Management Policy and Practices of Shinepukur Ceramics. basic objective is to find out the management policy, practices and measuring the performance and comparing them with the other Ceramics Company. Report also focus on to gather over all comprehensive knowledge of Accounts functions and explain the meaning and concept of management Policies and practices. Finally compare them with the other company and analysis how they attracting the Foreign customers. Purpose is to know the policy and Accounts procedure of the Shinepukur Ceramics Ltd & make a true picture of the Shinepukur Ceramics Ltd. Recently the BAXIMCO Co are conducting this type of business with huge investment & variety of offers. And they are capturing mainly foreign customers. So, objective is to find out the management policy, practices and measuring the performance & comparing them with the other Ceramics Co.
To gather over all comprehensive knowledge of Accounts functions. To explain the meaning and concept of management Policies and practices. To acquire in depth knowledge about Accounts management. To compare them with the other company. How they attracting the Foreign customers. This report is prepared on the extensive use of secondary data available in different text, reports, journals etc, as well as primary data collected from the bank personnel; by means of informal interview. Consulting of Annual Report and discussion with the officials of Gazipur Branch about methods and procedure of different types of management polices and practices, problems associated to these types of activities etc. The necessary information for the project was obtained from reports generated by the Accounts software (A to Z) used by Shinepukur Ceramics Ltd.
By taking interviews of the employees of Shinepukur Ceramics Ltd, Gazipur branch. By discussing several ideas with familiar business organization. Official records of Shinepukur Ceramics Ltd. Gathering information from the Shinepukur Ceramics Ltd Annual Report. Printed forms and international Division of Shinepukur Ceramics Ltd.
Shinepukur Ceramics is a member of the Largest Private Sector Conglomerate, BEXIMCO, in Bangladesh with about 20,000 people in the permanent payroll, handling a diversified range of merchandise to and from Bangladesh. The Group’s in-house manufacturing interests encompass Seafood, Jute Yarn, Pharmaceuticals, Textiles, Knit, Denim, Garments, Real Estate and Engineering. BEXIMCO is also involved in Media, Computers and the IT Arena’s. Shinepukur Ceramics ltd. was incorporated as a private limited company on January 26, 1997 with a view to establishing world Class bone China and Porcelain Tableware Industrial Units. As part of a meticulously planned expansion program of the Group, BEXIMCO has setup this state-of-the-art Ceramic Tableware Plant, SHINEPUKUR CERAMICS LTD. (SCL) on the outskirts of Dhaka in 1999. SCL is a 100% export oriented unit, equipped with the latest and modern Machinery’s and Kiln’s from TAKASAGO MINO, and SKK Japan and comprises of two independent units producing high quality Porcelain and Bone China Tableware. The Porcelain unit has a capacity of 30,000 pieces, whilst the capacity of the Bone China unit being 10,000 pieces a day. The Bone China unit has in fact been setup on the basis of the latest technology from NIKKO Japan, coupled with extensive training facilities to our Production team, both locally and internationally. In addition, SCL is equipped with the top-of-the-testing and Quality Control Laboratory facilities, Decal Plant, Carton-Packaging Plant, Modeling Unit, and has at its disposal its captive gas-based Power Generation capability, and the best effluent discharge mechanisms in place. The Company is also an ISO 9001/2000 certified Company. Since commencement of the commercial production at the end of 1999, Shinepukur has successfully developed a substantial export market for the top-of-the-line Bone China and Porcelain Tableware and the customer portfolio now includes world renowned Tableware companies in the UK, USA, Spain, Italy, Australia, New Zealand, Norway Sweden, Russia, UAE, Denmark, Germany, Turkey, and India. Exports from Shinepukur Ceramics comprise about 60% of the National Tableware Export turnover of Bangladesh. As recognition of this contribution, SCL was awarded National Export Trophy (Gold) in December 2003 for the Financial Year 2000-2001. The Industrial units were established at the BEXIMCO Industrial park, Gazipur about 35km from Dhaka. The land and covered area of the industrial units are about 20 acres and 350000sft respectively. They feel proud of their technical collaboration with NIKKO Company, the master of Bone China maker in Japan and a Company of great International reputation. 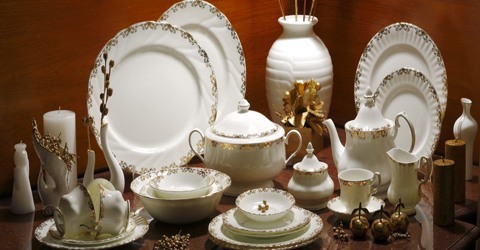 As a result of this association, they have been able to break the technological barrier and have become the pioneer in the field of Bone China manufacturing in Bangladesh. In the past years, the Company has successfully maintained its market share in the top-end global market of Bone china Tableware with strategic alliance with leading brand manufactures in Europe and USA. The company started its commercial operation of porcelain and Bone China units in the year 1999 and has been continuing as one of the fastest growing Company in the Industry. Despite the complex economic issues world wide along with increased competition from new entrants posing new challenges for every concern in this industry, this company is fully geared to meet these challenges and continues to perform well by focusing on product quality, product innovation, and customer’s satisfaction and by improving the customer base. At 2003 for installing the new machinery, the gross turnover stands at Tk. 1126.02 million with a growth of 11.94% as compared to previous year’s turnover of Tk.1005.90 million. Considering the rapid increase of demand of the products in foreign and domestic market, the management of the company took steps to expand its porcelain unit to double the existing production capacity and keep its share in the international and domestic markets. Shinepukur tableware is designed to be an affordable luxury. From dinner plates to salt and pepper pots, it offers a complete range of product groups in a variety of shapes, decorations, and patterns. The unique tableware from Shinepukur introduces a new trend in fine dining. Customers are at liberty to choose from full range dinner set, place setting, starter set, tea set, coffee set, soup set etc. serving any desired number of persons. This is the main production house of this company. In this house all products are produced Raw material to finished products. This is the newly set up house for producing the Packaging items to increase their efficiency. Rody time and rossi in Italy Royal Dulton, finwick and Sainsbury Supermarkets Ltd in UK, HC, Distribution and perfect home in Norway and libbey Inc. in USA. Frankfurt Fair – Ambiente in February. Frankfurt Fair – Tendence in August. NY Tabletop Show in May and October, every year. Normally they do not worry about the domestic market because their main focus is the foreign market because of higher price. Only exporting their products they maximize their profit all time. The financial statements have been prepared on “Historical Cost” basis, except land being revalued. No depreciation is charged on land and land development, which stated at revalued amount. Other property, plant and Equipment are stated at their cost less accumulated depreciation. Cost represents cost of acquisition or construction and capitalization of pre-production expenditure including interest during construction period. Cost of plant and machinery also includes net exchange loss incurred on conversion of foreign currency loans at the year-end, capitalized in compliance with the requirements of Companies Act 1994. All other full year’s depreciation has been charged on additions irrespective of date when the related assets are put into use. Depreciation on all other fixed assets is computed using the straight-line method in amounts sufficient to write off depreciable assets over their estimated useful economic lives. Expenditure for maintenance and repairs are expensed; major replacements, renewals and betterments are capitalized. The cost and accumulated depreciation of depreciable assets retired or otherwise deposed of are eliminated from the assets and accumulated depreciation, and any gain or loss on such disposal is reflected in operations for the year. Full amount of depreciation on plant and machinery and 80% of depreciation on building and other construction have been charged to manufacturing overhead, and the remaining amount of total depreciation has been charged to administrative expenses as per previous practice consistently applies. Property, plant and Equipment acquired under leases were not capitalized but the lease rentals were expensed as they incurred. Inventories are stated at the lower of cost and net realizable value. Costs of inventory held are generally calculated on the weighted average method on a consistent basis. Net realizable value is bases on estimated selling price less any further costs expected to be incurred for completion and disposal. These are carried at original invoice amount. This considered good and collectible, and therefore, no amount was written off as bad debt and no debt was considered doubtful to provide for. Liabilities are recognized for amounts to be paid in the future for goods and services received, whether or not billed by the supplies. The Company operates a contributory provident fund and a group insurance scheme for its permanent employees. Provident fund is administrated by a Board of Trustees and is funded by contributions partly from the employees and partly from the Company at pre-determined rates. These contributions are invested separately from the Company’s assets. The expected cost of these benefits is included in profit and loss accounts over the period of employment. The Company was enjoying tax holiday for five years with effect from 1st April 1999 and 1 November 1999 in respect of porcelain unit and Bone China unit respectively, which has been expired during the year under review. Sales are accounted for on preparation of invoices alongw3ith delivery of goods from godown. Transactions denominated in foreign currencies are translated into Bangladesh Taka and recorded at rates of exchange ruling on the date of transaction. Debtors against export sales have been converted into Taka at the exchange rates ruling on the date balance sheet. Exchange difference has been recognized as gain/ loss for the year. Exchange rates. Net exchange difference is included in the carrying amount of related machinery as a requirement of the ‘Companies Act, 1994. Cash flow Statement has been prepared as per requirement of (IAS)-7 as adopted in Bangladesh following direct method like SEC. The Board of directors is responsible for the preparation and presentation of Financial Statements under Section 183 of the Companies Act 1994. Risk and Uncertainties for use of estimates in preparation of Financial Statements. The preparation of Financial Statements in conformity with the Bangladesh Accounting Standards requires management to make estimates and assumptions that affect the reported amounts of assets and liabilities and disclosure of contingent assets and liabilities at the date of the financial statements and revenues and expenses during the period reported. Actual results could differ from those estimates. Estimates are used for accounting of certain items such as long term contracts, provision for doubtful accounts, depreciation and amortization, employees’ benefit plans, taxes, reserves and contingencies. The figures in the Financial Statements resent Bangladesh currency (Taka), which have been rounded off to the nearest Taka except where indicates otherwise. The management employee relation in company remains excellent and conducive to its growth during the year. Retirement benefits are incorporated on payment basis & also job life. The company also gives provident fund facility. Every employee get double amount from their keeping amount. Every employee keeps 1% taka from their basic. This is the most environment friendly tableware plant in the sub-continent. They follow environmental practices in line with the World Bank standards. All the products have passed FDA and proportion 65, the strictest California Law on lead and cadmium release of tableware items. All the tests were carried out by SGS as a part of the export regime. Shinepukur Ceramics Ltd is also planning to implement ISO 14000 on environment policy very soon covering all aspects of the environmental standards. The financial Statement have been prepared in compliance with requirements of the companies Act 1994, securities and exchange rules 1987 and other relevant local laws as applicable. Loan from Marubeni Corporation is arrived at after crediting of TK.32378400 (in 2004 Tk. 68040417) being increase in liability on conversion of the loan balance in foreign currency as on 31.12.05 at the exchange rates ruling on the Balance Sheet date. Equitable mortgage over the immovable property. Hypothecation by way of a floating charge on all other movable assets both present and future. First Charge over all the finished stock, Work-In-Process and current assets excluding book debts. In 14 (Fourteen) equal half-yearly installments commencing from December, 2004. In 12(Twelve) equal half- Yearly installments commencing from October, 1999. In 41(Forty one) equal quarterly installments commencing from March 31, 2005. In 120 (One hundred two) equal monthly installments commencing from January 31, 2005. In 108 (One hundred Eight) equal monthly installments commencing from January 31, 2005. In 10 (Ten) equal half yearly installments commencing from June 30,2003. Japanese long term prime rate (LTPR) +3.0% p.a. 14.5% p.a. or the lending rate applicable from time to time based on IPDC rate/ policy. 11% p.a. or the lending rate is applicable from time to time based on Bank rate/policy. Rate of interest is Nil. 14% p.a. or the lending rate is applicable from time to time based on Bank rate/policy. Every company has to take the short term loan for running the production. Southeast Bank: this is also the long term loan but current portion. Foreign Currency: These loans are normally long term loan but they are the current portion. Loans are taken from; Marubeni Corporation. According to the kaleidoscopic nature of the costs (KNC) they maintain the Activity Based Management Costing (ABC) because firstly they are taking the order then start producing. ABC shows the linked set of order tasks within and across an organization that produce products and services. An activity is a series of work tasks that have defined input and output. For example “Service Food” in a restaurant is an activity. It starts with a customer order (input) and includes tasks such as written down the order giving it to the cook, and picking up the plates when ready. It ends with the placing the foods on the tables (output). Activity use resources such as people, space, materials, suppliers, utilities, computers, and so on. The resources consumed by an activity are the cost of that activity. ABC is the systematic documentation of the major activities in an organization. The documentation is designed to uncover what causes each activity to begin (its driver). The cost of activity, how much time is needed and how well is performed (Quality). ABC allows organization to design work and improve the cast, quality, and time of performing activities. New designs and shapes are developed in both the porcelain and Bone China units to meet the demand of the buyers’ abroad. They always improve their products’ design and shape according to the customers’ demand and satisfaction. The brilliant on-glaze decoration makes Bone China Tableware special. Shinepukur’s lightweight Bone China is thermal shock and chip-resistant making it practical as well as beautiful for the Formal Table. The brilliant whiteness of the translucent body gives the colors a great luminosity and vividness, impossible on any other Tabletop. The Company now offers about 60 Shapes and over 200 designs; from classical gold rim to trendy floral and geometric Decals. As the latest venture of the most successful Corporate Group of the Country, (BEXIMCO, since 1965), Shinepukur is blazing the trail in ceramic tableware manufacturing in Bangladesh. The Company offers an exquisite range of the finest, world-class tableware in Bone China. Shinepukur culminates all its knowledge, skill, efforts, and traditions in superbly crafted Tableware demanded by discerning customers. Incorporated on January 26th 1997, Shinepukur is set on 115,00 square meters of land at the Beximco Industrial Park at Gazipur, about 35 kilometers north of Dhaka. The plant was commissioned on December 9, 1999. This export-oriented company has a production capacity of 1250 Tons of Bone China per Annum. They have at 2003 for installing the new machinery; the gross turnover stands at Tk. 1126.02 million with a growth of 11.94% as compared to previous year’s turnover of Tk.1005.90 million. At the decals plant always try to premise the backward linkage operation. At present the plant has a total printing capacity of 5000 sheets per day in three shifts. Their in house production of decals has tremendously reduced import cost of decals during the year under review. They already set up a packaging plant to avoid dependence on the suppliers of packing materials, to minimize cost and to maintain regularity of the shipment of delivery system. According to their company policy , the cost that changes to their level of activity and some cost changes in relation to unit used(telephone charge), that are considered as variable cost . Fixed costs are those costs which are fixed with in a relevant range. Fixed cost yearly changes because the company increases salary and bonus every year in certain proportion. According to this, for our calculation purpose we determine 2004 as a base year. The global market of ceramic Tableware are becoming more challenging day by day due to increased competition among manufactures and changes in the customers’ demand pattern. Customers need to be continuously assured of product quality and commitment to continuous improvement in all respects. They already achieved this goal and accordingly obtained ISO 9001:2000 certificates for establishing and implementing Quality Management system (QMS). Preventive Cost includes Quality Engineering; avoid the defective raw material, poor tools, On the job training, improvement of machine, Process control, In process inspection, Quality reporting, Internal audit assessing the effectiveness of quality system, Quality training and always finding the problems in every steps and try to seriously protect them previously. Appraisal Cost includes Pilot Studies, In-process inspection, Proofreading, Supervision of In-Process Inspection etc. Internal Failure cost includes Scrape, Data reentered because of quality key punching errors, re-inspection of reworked products, Disposal of defective products, Downtime attributable to quality problems, correction of typing error. They have no external failure without Product Liability. Current Assets and Liabilities are converted to cash over the following 12 months; the current ratio is a measure of short term liability. Here SCL is the second position but it is the increasing portion at the 5th year that means it is working better. From the beginning SCL is over then other company. That means their quick payment capability is better then other company. SCL is the highest position from the other company. Their debt ratio is the second position But Bengal Company is more debt financing then the SCL. But other company is more equity financing. For that reason SCL has to give more interest then the other 3 companies. This graph shows that SCL has to give more interest then the other company from their EBIT. SCL’s inventory turnover is highest then the other company that means they are selling their inventory quickly then the other company. SCL’s inventory turnover is lowest then the other company that means they are selling their inventory around the 100 days that is more better position then the other company. SCL is the increasing position, but not the highest position. That means other is doing better to collect money then the SCL. But they are try to increase it. Their return was negative but now it is increasing. But positive side is that now it is the highest portion then the other company. And the return is more increasing then the other company. Their return on Total Assets was negative but now it is increasing. And at the 2004 SCL’s return is the highest position. Their Profit margin was negative but now it is increasing. But positive side is that now it is the highest portion then the other company. And the return is more increasing then the other company. SCL’s net profit margin was negative before 2003 because they have no packaging plant and at time they have to order another party for packaging. But after 2003 it is going to positive because they set up a new packaging plant. So they money is not going to out. They also can sell their packaging items also. Their Return on Assets was negative but now it is increasing. But positive side is that now it is the highest portion then the other company. And the return is more increasing then the other company. Their Return on Equity was negative but now it is increasing. But positive side is that now it is the highest portion then the other company. And the return is more increasing then the other company. They are more Debt financing then the Equity financing. For that reason they have to give more interest so, they do not catch up their profit. Lack of employees to work on for that reason one employee has to take more loads. Return on Equity, Profit Margin, Return on Assets all were negative but when they set the packaging plant then all ratios start to increase. They increase their efficiency about their Collection period. According to the Comparing analysis, they have more debt then the other ceramics company. SCL is more sincere about their employees, labors like all time they provide medical facilities, give snacks, good environment, security, pension facilities etc. Their product’s cost so High so local customer cannot afford this ceramics. They are more conscious about their Quality like to purchase the raw material, all time they like one supplier so that they raw material can not be changed. Another thing at the time of loading the raw material they checked so that firstly quality can not be changed. They are more conscious about the customer satisfaction. Like about the design and shape they always take more special care about their customers. If the customer like the presentable product then that’s have no problem but if they want new design or their own design then they take order their own design. Reworking in payroll, Inventory section. They are more conscious about their delivery time. They said that that is the main goodwill that “they do not pay the delay charge”. They take two types of labor, their non fixed labors are more then fixed. When their pressure is more then they hire more labor. Their Loaning amount is increasing day by day. Marketing personnel are working under pressure because they have to deal with large number of customers every day. They can’t make a balance with these two most of the time. They are using most newly Technology to produce the world class ceramics so that it will be the best product in Bangladesh. They are 100% Export Company. So they tried to produce that product what is taken from ordered. Their Long term ratio is increasing for that reason interest also increases more so tried to decrease that. They may take a special care of their Cash ratio because if all the short creditors want to take their taka then they have to take hand in their fixed deposit. Enhance performance of the employees. From my practical implementation for gathering working experience in SCL at Gazipur Branch, I have tried my best to observe an organizational working policy and their procedure in a very confident way. In this report I have explained my best in respect of my real life working experience which is gathered from different division of company sector in Gazipur branch of SCL. This paper shows us a real picture of Shinepukur Ceramic Ltd and polices practices and comparing analysis. As a most newly and private Ltd ceramics company, it is as good as the other company. Now this is the market leader as a ceramics company. Another thing is that they think only Monno Ceramics is their main and only one competitor. SCL has been working from its very beginning to ensure the best use of its creativity, well disciplined, well managed and perfect growth. Exports from Shinepukur Ceramics comprise about 60% of the National Tableware Export turnover of Bangladesh. As recognition of this contribution, SCL was awarded National Export Trophy (Gold) in December 2003 for the Financial Year 2000-2001. SCL is playing a vital role in Socio-Economic development of Bangladesh.